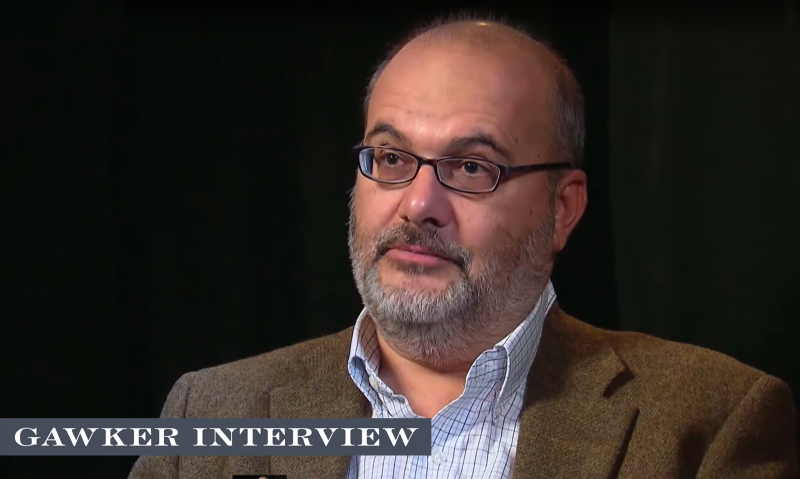 Branko Milanovic is an internationally known economist specializing in inequality and development. He is the former head research economist for the World Bank, and is currently a visiting professor at the Luxembourg Income Study Center at CUNY. His new book, “Global Inequality,” breaks new ground in detailing the ways in which inequality between countries is falling, but inequality within individual nations is increasing. We interviewed him at his office in Manhattan this week. Gawker: One of the most prominent arguments in your book is a revision of the “Kuznets Curve,” which describes inequality in development. Can you explain that? 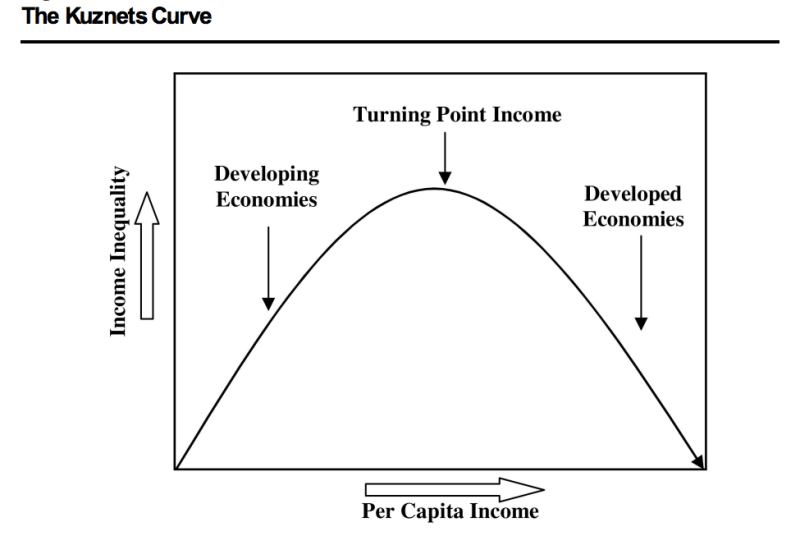 Branko Milanovic: The Kuznets Curve was defined in the 1950s and 60s by Simon Kuznets. And the idea was pretty simple—it was not based on too much empirical evidence, we didn’t have too much empirical evidence in those days... it was based on the idea that, essentially, you start when you are relatively poor, with low levels of inequality. You have lots of small landholders. Basically farmers. And then you actually start developing. As you start developing, two things happen: people move into manufacturing, and they move into cities. Then, you first have a gap in incomes between rural areas and urban areas, because urban areas are richer; and secondly, in the urban areas you have greater diversity of occupations, so there is greater inequality in incomes. So he thought as the countries develop—he had in mind the US and the UK in the late 19th century—inequality would go up, then reach a peak, and then, he argued, there would be a greater spread of education, so the returns to the educated would go down; capital would become more plentiful, so the returns to capitalists would also go down; and there will be greater demand for social protection, unemployment benefits, and so on. So that would lead to the reduction of inequality. And that is the famous inverted-U-shaped curve. Why was it found wanting? By the time we really had quite a lot of data, by the mid 1980s and early 90s... it was very difficult to explain the second upswing of the Kuznets Curve [as inequality in rich nations increased]. So that’s where my reformulation of the Kuznets Curve into Kuznets Waves comes in, because I consider the current increase, in the last 25 or 30 years, to reflect essentially the second technological revolution, and globalization. And there are similarities to the first upswing of the Kuznets Wave in the past, because you can actually argue that it was the result of the Industrial Revolution. The bottom line is that technological revolutions lead to an increase in inequality, more or less for the same reasons Kuznets said—but also now obviously because of the movement [of jobs] into services, because of the rents that are being made on new technology, and so on. Gawker: Will inequality continue in this wave pattern forever, or do you think we’ll ever reach equilibrium? Milanovic: It’s difficult to say what will be in 100 years, but my argument about the Kuznets Waves rests on the historical data that only now we have, in the last ten years, about income distribution and income inequality [over many centuries]... I make a distinction between the pre-modern era, when you were driven up and down by epidemics, wars, civil strife, but not by technological progress... and the modern times, where actual economic factors like technology, globalization, education levels, and demand for social protection start playing much more of a role. If we were to go through another technological revolution in, say, 50 years, the same type of mechanism could hold. Gawker: The interesting duality of your book is the decline of global inequality coupled with the rise of national inequality. What do you think accounts for the decline on a global level? Milanovic: That duality is very important because it’s very tricky to understand. Most people believe that inequality is rising—and indeed it has been rising for a while in a number of rich countries. And there is lots of talk and realization of this. It’s harder to understand that at the same time, you can actually have global inequality going down. Technically speaking, national inequality can increase in every single country and yet global inequality can go down. And why it is going down is because very large, populous, and relatively poor countries like India and China are growing quite fast. So what is different between national inequality and global inequality is you have another element there that is sometimes forgotten: what matters for global inequality is relative growth rates between poor and rich countries. Gawker: Is it inevitable that poor countries will have higher growth rates than rich countries? However, what has been happening in the last quarter century is that Asia, which was home to very many poor people, had an extraordinarily favorable period of growth. Not only China and India, but also countries like Indonesia, Thailand, and Vietnam. So that has really contributed to the reduction in global inequality, and also to the convergence. But if you look at African countries, they have really not converged towards the rich ones. Gawker: Do you have any thoughts on the reasons for the disparity with African countries? Milanovic: I write in the book that if you take Asia out of the equation, you really don’t have much of a convergence between the poor, middle income, and rich countries. So Asia was spectacularly successful—which for some economists was a surprise, because in the 50s we had a lot of literature, including some future Nobel Prize winners, who were very concerned about overpopulation in Asia... the explanations for Asia’s success nowadays are expert orientation, strong states, and a high level of education. In the case of Africa you can say there is not a high growth of manufacturing, there is not much improvement in education if you compare it with Vietnam or China, and there is no strong state. Gawker: Simultaneously you have the growth of inequality within nations. What accounts for that? If you want to visualize where the US and China are, I would put China at around the peak of the first Kuznets Wave, and the US is on the second. There is an upswing of the second wave [of inequality]. I’m not sure if it’s at the peak or not. Gawker: Is it fair for people to ask what good the reduction in global inequality is doing them, if within their nations inequality is on the rise? Milanovic: Global inequality is such an abstract concept, simply because there is no global government. Telling people in rich countries who have had no increase in real incomes, stagnant median wages and so on, that on the other hand global inequality is going down because people who are much poorer than them are getting richer—it’s something that maybe they would like in an abstract sense, because everyone is happy there are fewer poor Chinese, but you may not be as happy if these Chinese are taking your job. So I don’t think a politically reasonable defense of the current situation is to tell the people who feel they’ve been losing economically within their own country that, on the other hand, they are contributing to some greater good externally. Gawker: What are some of the social dangers that accompany high inequality within societies? The danger of that in my opinion is that globalization has many good features, and that throwing out the baby with the bathwater is not exactly the best policy. The world output would certainly go down if we were to start putting tariff rates and competitive devaluation and so on. The second danger is the danger of plutocracy. There, people in the rich countries who have done very well, who are at the top of the income pyramid, try to steamroll over the opposition of the middle without changing anything in social programs, or any redistribution. And they take their votes for a given. They have rich people that bankroll them. And the globalization would continue, but it would continue with permanent dissatisfaction among large segments of the people. Gawker: What do you think the wisest move is, for those who are not the highest earners, to mitigate inequality? This is not a short term solution, because whatever change you make now is going to take five or ten years to make an impact. But you cannot just ignore it forever. Gawker: If changes aren’t made by people at the top, is some sort of meltdown inevitable? Milanovic: I don’t think meltdown, but what would happen is, if Trump does not become President—and I don’t think Trump will be able to do much because his recommendations or policies are pretty incoherent—but whatever happens, you would have in the future, for the next election and the election after that, a significantly large constituency of people. And these people we now know that they exist, and they vote somewhat as a block. So there would be another political entrepreneur who would use them. In that sense I think that the situation is not just whatever happens with this election cycle. If that problem is not attended, it would reappear in four years. And in Europe, it is appearing very strongly, and what then happens is even if parties associated with right wing populism don’t win, they push other parties, the centrist parties, towards their position. So they do have an influence even if they’re not in power. Gawker: A lot of people are worried about the automation of jobs and the possibility of permanent job loss. 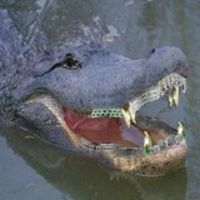 Do you think that issue is real? Milanovic: Historically, we have had this fear forever. When the industrial revolution happened there was the Luddistic movement, and there was a fear that machinery would replace all the labor. Whenever we had a technological revolution we had this fear. So if you look backwards, these fears were not justified, and I think they were driven by our very human inability to visualize what new jobs will be created by this new technology... the counterargument to that would be, as many people point out, many of these IT companies don’t replace all the labor which has been lost. The total employment by Apple and Microsoft and so on runs into hundreds of thousands, not into millions. So it could be that they are very capital intensive and they don’t create enough jobs. But it seems to me from simply looking at the past—if we knew what type of jobs would exist in 20 years, we would be quite rich. But we just cannot visualize it. Gawker: Is there a way for labor to take a greater chunk of the income share away from capital? Milanovic: This is a problem that was highlighted in Piketty’s book. And the problem is, with the fall of communism and the entry of China into the global system, you had a change in the supply of the two factors of production. Capital increased, but not nearly as much as labor. That meant labor was more plentiful, and the real price of labor compared to the real price of capital went down. And we have seen that in the US data, where you have a decline in the [income] share of labor and an increase in the share of capital. Now, that per se is not the problem. If, for example, each of us had the same share of capital in the national total capital, then if the share of capital goes up it’s not a problem, because you get as much as I do. The problem is that capital in capitalist countries is very heavily concentrated, especially financial capital. So then if the share of income from that source goes up, that actually exacerbates inequality. Gawker: You write about how the two classes globally that have stagnated are the middle classes of rich countries, and the very poorest class in the world. Is there any hope for the world’s poorest people? Milanovic: For the middle classes of the rich world, the mechanism is the result of globalization and technological change. For the very poorest, these are really people who are at the bottom of their countries—many of them in Asia—and the mechanism there is quite different. These are not people who have been affected by the rise of China or manufacturing. These are people who have still not participated in globalization. So while you can say that the problem of the middle class in the rich countries is too much globalization, the problem of the people who are very poor is really that they are not included in globalization. For them, the success of their own countries at becoming part of this international division of labor would be good news.